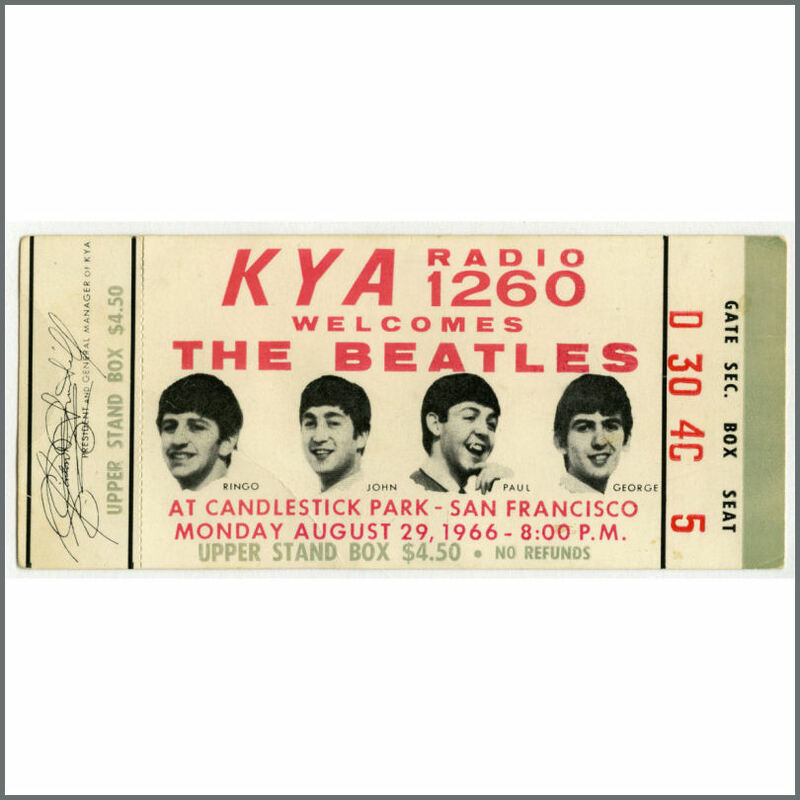 An original unused complete concert ticket from a performance by The Beatles at Candlestick Park in San Francisco, California on 29th August 1966. The white and green ticket is for the Upper Stand Box, Section 30, Box 4C, Seat 5. It measures 14.5cm x 6.5cm (5.75 inches x 2.5 inches). There is a diagonal crease across the lower left corner. The condition is very good plus.